On the 7th (Tue), tee off at Lincoln Park. Here are some ideas for day two: steep yourself in history at Alcatraz Island, then take a leisurely stroll along Fisherman's Wharf, and then buy something for everyone on your list at Ferry Building Marketplace. To find traveler tips, maps, reviews, and other tourist information, go to the San Francisco day trip website . Ottawa, Canada to San Francisco is an approximately 11-hour flight. You can also do a combination of train and flight; or drive. The time zone difference moving from Eastern Standard Time to Pacific Standard Time is minus 3 hours. Expect a bit warmer evenings in San Francisco when traveling from Ottawa in May, with lows around 13°C. Finish your sightseeing early on the 9th (Thu) so you can drive to Yosemite National Park. Take a break from the city and head to Glacier Point and Tuolumne Meadows. Spend the 11th (Sat) exploring nature at Elizabeth Lake, Yosemite National Park. 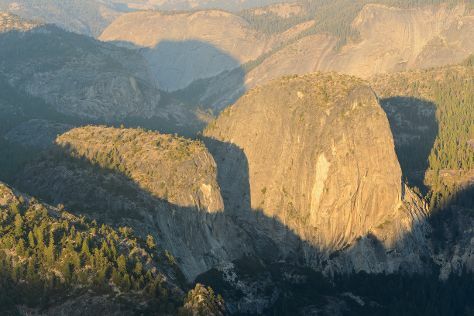 There's still lots to do: trek along Mariposa Grove of Giant Sequoias, take in the dramatic natural features at Sentinel Dome, get your bearings at Yosemite Conservation Heritage Center, and take in the dramatic scenery at Vernal Fall. For other places to visit, maps, and tourist information, use the Yosemite National Park travel planning site . Getting from San Francisco to Yosemite National Park by car takes about 4 hours. Other options: take a bus; or do a combination of subway, flight, bus, and taxi. Traveling from San Francisco in May, you can expect nighttime temperatures to be a bit cooler in Yosemite National Park, with lows of 1°C. Wrap up your sightseeing on the 14th (Tue) to allow time to travel to Zion National Park. Get in touch with nature at The Narrows and Zion's Main Canyon. Spend the 16th (Thu) exploring nature at Canyon Overlook Trail. There's more to do: get great views at Observation Point and hike along Angel's Landing. To find traveler tips, ratings, photos, and tourist information, read Zion National Park trip planner . Traveling by combination of taxi, bus, and flight from Yosemite National Park to Zion National Park takes 11 hours. Alternatively, you can do a combination of taxi, bus, flight, and car. The time zone difference moving from Pacific Standard Time (PST) to Mountain Standard Time (MST) is 1 hour. Expect a bit warmer temperatures when traveling from Yosemite National Park in May; daily highs in Zion National Park reach 28°C and lows reach 5°C. 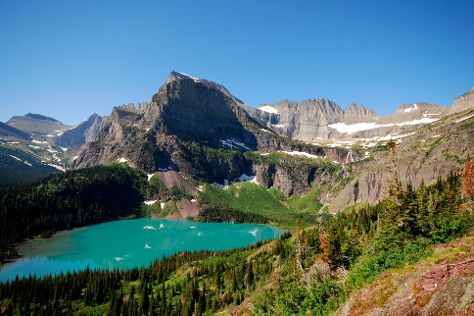 Finish up your sightseeing early on the 17th (Fri) so you can travel to Glacier National Park. Get outdoors at Waterton-Glacier International Peace Park and Lake Josephine. The adventure continues: explore the striking landscape at Grinnell Glacier, take in the dramatic scenery at Virginia Falls, stroll through Iceberg Lake Trail, and explore the activities along McDonald Creek. To find photos and tourist information, read our Glacier National Park trip planning website . Traveling by combination of taxi and flight from Zion National Park to Glacier National Park takes 6 hours. Alternatively, you can do a combination of car, flight, and taxi; or drive. Traveling from Zion National Park in May, you will find days in Glacier National Park are slightly colder (22°C), and nights are about the same (3°C). Finish your sightseeing early on the 20th (Mon) so you can travel back home.